History is one of S.P. Austen's favourite topics and he is fascinated how it has shaped us all. 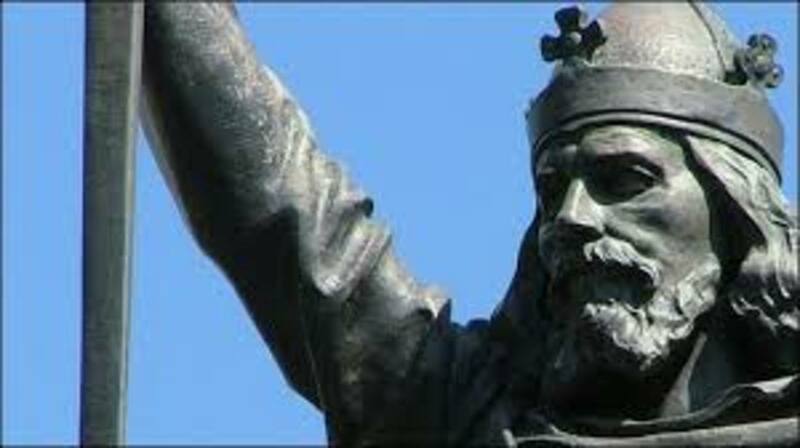 In the year 975 AD, Edward, son of King Edgar, became King of Mercia, and hence was the principle ruler of the country at that time. But intrigue and conspiracy rose its ugly head in England once more amongst the ruling classes, and Edward was brutally murdered at the command of his stepmother Elfrida. Elfrida had been the second wife of King Edgar, Edward's father, and wanted her own son Ethelred on the throne. Edward was visiting the Royal Court at Corfe in Dorset in the year 978, and when he was alone having just dismounted from his horse, he was stabbed repeatedly by Elfrida's noblemen. He managed to mount his horse and ride away, but he died on horseback, being dragged in the stirrups as the horse galloped away. 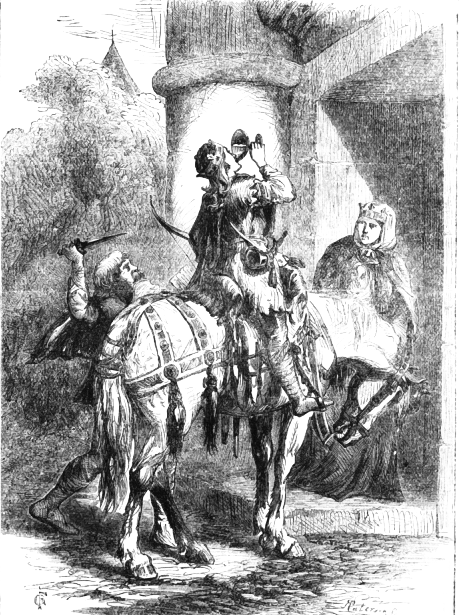 Thereafter, Edward was named Edward the Martyr. In King Ethelred we have some interesting spiritual insights from no less than the Archbishop of Canterbury, St. Dunstan himself; having baptized Ethelred as an infant, Dunstan had predicted that the baby would not come to much at all. We do not know why Dunstan felt this way towards a child, but it is possible that he could read character in some way, or even had some extrasensory input that revealed the future to him. As it turned out, he was right. Ethelred, aged just 11 years old, was crowned king in 979. St. Dunstan, the religious leader and seer, had no other choice but to crown Ethelred as he was the sole heir to the throne of England. Yet when Dunstan placed the crown on Ethelred's head he told him that the sin of his murderous mother Elfrida would be visited upon Ethelred and all England. It was a dire prophecy which did indeed come to pass. Ethelred was named the Unready it seems largely because he did not receive good counsel, and no doubt also because he was not prepared for true kingship. 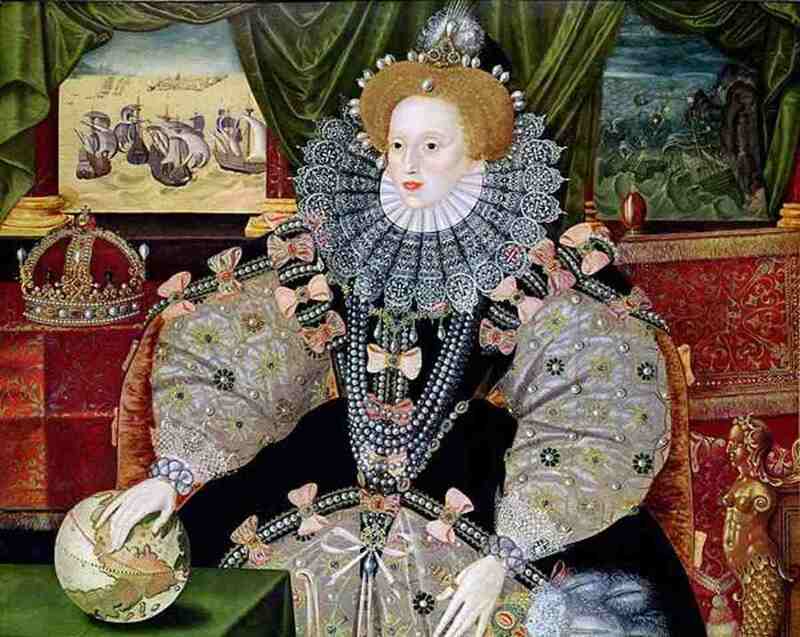 Because of his mother's murderous actions he was mistrusted by the court and was largely considered to be no more than a usurper of the crown. However, Dunstan's denouncing of the king does not imply that the boy was involved in the murder plot of his brother, and historically it is implied that Ethelred had affection for Edward, so the blame must be laid at Elfrida's feet. In the year 980 it appeared that Dunstan's dire prophecy was coming true, as fresh assaults from the Danes once more landed on England's shores after a long absence of many years of peace. Chester was raided by the Danes from Ireland and the people of Southampton were massacred and subjected to slavery by the new Viking invaders. Devon and Cornwall were invaded and London was burned. 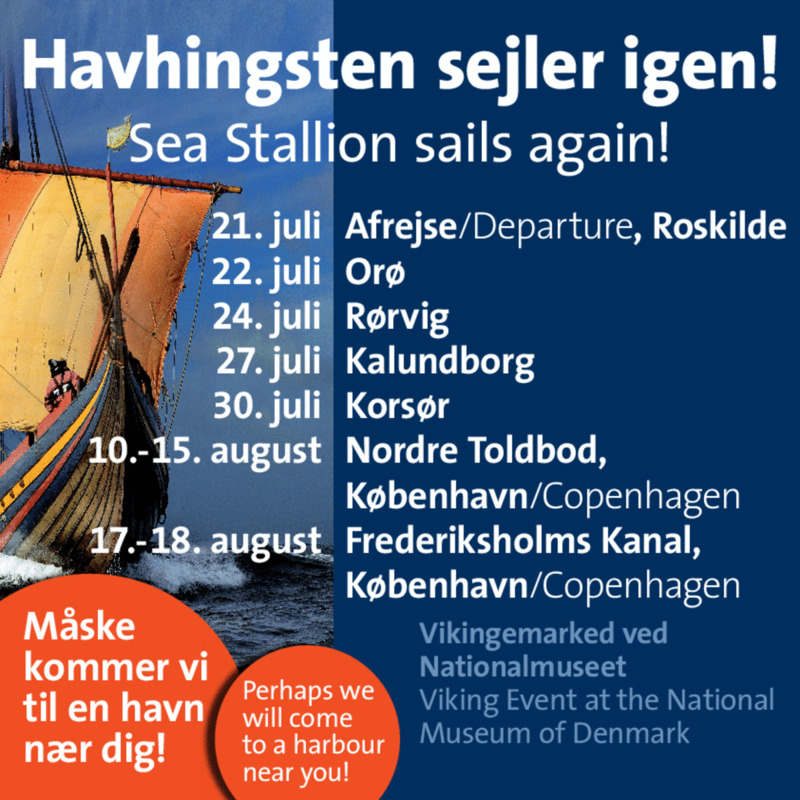 The usual Viking pillaging and plundering went on just as it had in times past in the days of King Alfred, at least one hundred years before. The chief of these new invaders was Sweyne, son of the King of Denmark, who had banished Sweyne from his court. In the year 985 Ethelred laid siege to Rochester, where the Danes held their fortifications. In this instance it was the Danes who paid Ethelred to withdraw his forces. Despite these new assaults on the country, Dunstan was still opposed to Ethelred rather than uniting with the king in the common cause of fighting against the invaders. Dunstan, soon to die of old age, never forgot that Ethelred's mother had murdered the legitimate King Edward. The only real defence of the country at this time came surprisingly from East Anglia, under the leadership of Earl Byrhtnoth. 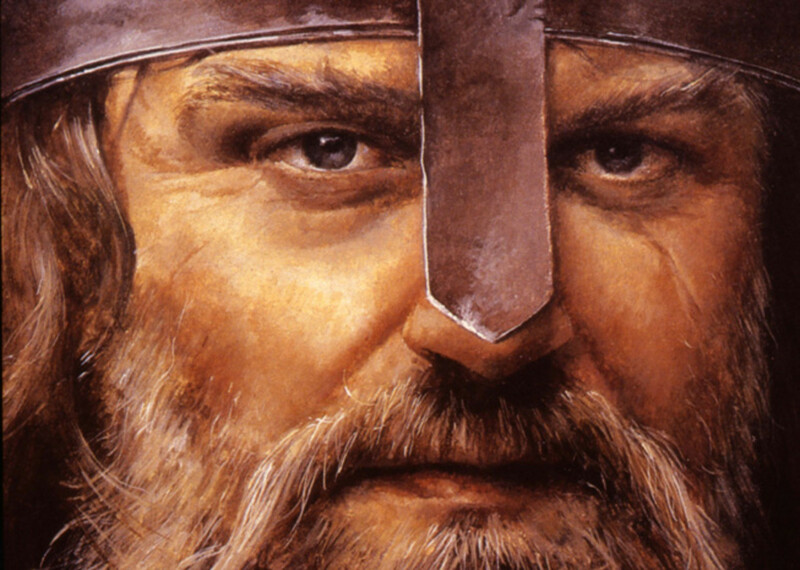 The title of Earl is a Danish word, not a Saxon one, and this indicates that Byrhtnoth was of Danish descent from those Danes who had settled in East Anglia when King Alfred ruled the land. 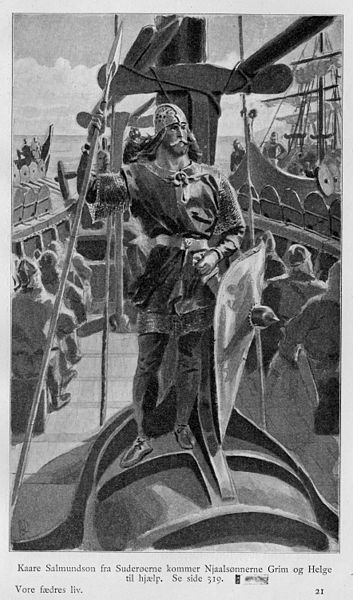 Byrhtnoth fought against the new Viking assault and defended his country as a Briton rather than as a Dane. This lends some evidence that the settled Danes in East Anglia were now assimilated into English culture and religion. It is difficult to say what would have happened had the noble Byrhtnoth lived; unfortunately for England, he was slain at the battle of Maldon in August 991 fighting against the countrymen of his ancestors. England, with Dunstan now dead, was so weakened and cowardly that the nobles advising Ethelred paid the Danes off in gold and silver (the Danegeld) to leave them alone. 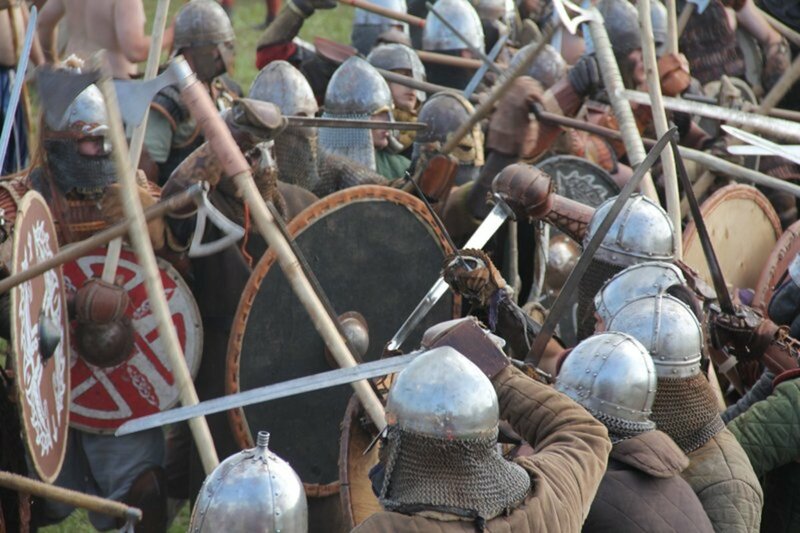 This practice had always gone on, even in the days of King Alfred the Great, but it was usually instigated in order to buy some time and to regroup the Anglo-Saxon forces for renewed warfare. But under Ethelred's rule, it became the usual means of dealing with the Vikings, even to the extent of feeding them off the land itself. In 994 Sweyne and King Olaf of Norway ravaged the whole of southern England and once more received large sums of money to leave the English in peace. But more Vikings poured into England on the south coast in the years 997 and 998. Yet more Danegeld was paid out along with more provisions of food. By this time Ethelred had paid the Danes 50,000 pounds, a sum that would amount to many millions of pounds by today's reckoning and was likely bankrupting the country. At this time, Ethelred married Emma, the sister of Richard the Duke of Normandy, grandson of the Viking Rollo who had sacked Paris. Ethelred sought to protect his kingdom by securing this marriage contract, as the Normans were descendants of the Vikings who had ravaged France, and held great power there. This fateful marriage was to pave the way for future claims on the English throne by William, Duke of Normandy, which would lead to the Battle of Hastings in 1066. Dunstan's dire prophecy was ringing in the bells that chimed on that wedding day. Ethelred had employed great numbers of Danish mercenaries amongst his forces, and, distrusting them as being involved in the renewed Danish assaults and in plots against his person, he had masses of them executed in the south of England. This he did in the year of 1002 AD. But one of the Danes murdered was Gunhilda, the sister of Sweyne. Sweyne's revenge was terrible. Sweyne's dreadful revenge was carried out throughout the East, the South and West of the country, over a four year period from 1003 to 1007 AD, committing mass slaughter wherever his army went. Eventually, Ethelred again paid large sums in Danegeld just to keep the peace. But nonetheless, the Vikings took the Danegeld and attacked the English towns regardless, which meant that any peaceful negotiations were always of a temporary nature, as indeed, they mostly always had been in the past. In 1009 another large Danish army invaded and ravaged the coast, under the leadership of Earl Thurkill. Their ferocity was apparently worse than any Danish invaders previously. After being paid off in Danegeld, Thurkill's army invaded and ravaged the Isle of Wight. However, they could not take London which by now, was heavily fortified. By the year 1011 AD, the Vikings had taken control of East Anglia, Middlesex, Oxfordshire, Buckinghamshire, Bedfordshire, Kent, Sussex, Surrey and Hampshire. They then attacked Canterbury, setting fire to it, killing many and making slaves of others. 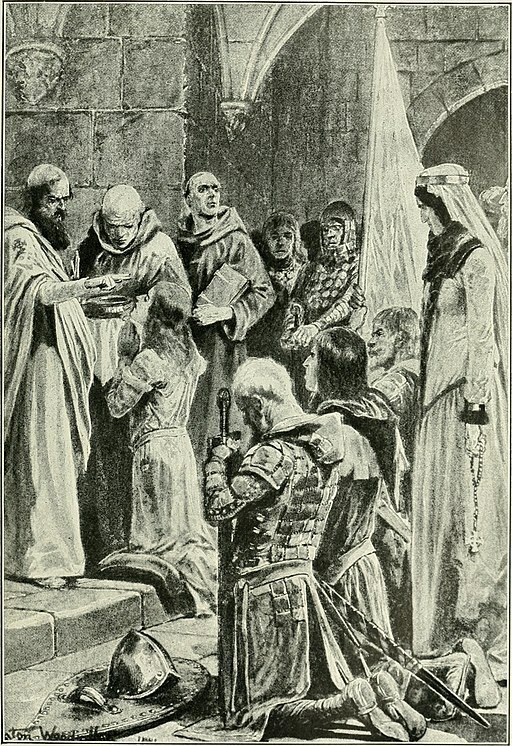 Alfheah, the Archbishop of Canterbury, was taken prisoner. The Danes demanded gold and silver, but Alfheah refused, and he also forbade any ransom to be raised to rescue his person. This enraged the Danes and they killed Alfheah in a drunken frenzy, throwing cattle skulls at him and eventually killing him by a blow on the head from an axe. The Danes had now basically taken control of England; Ethelred summoned his Witan or Counsellors, to try and rally forces to defeat the Danes. But it was too late. The large payments in Danegeld had utterly broken the country's finances and there were no longer any thegns (sometimes spelled thane) or captains willing enough to raise militia troops (known as the fyrd) to resist the Danes. England's spirit was broken. The prophecy of St. Dunstan, that Ethelred would bring a curse upon England was fulfilled.